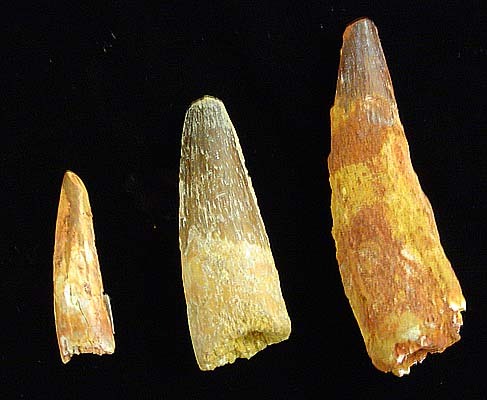 These are Spinosaurus Teeth. They were the largest dinosaurs to roam across Africa. They say he had a jaw up top 6 feet across. They spent 80 percent of their lives in the water and were fish eaters. * A larger tooth is available for $55.00 and a smaller on is available for $28.00. Call or email for a photo.